This document provides guidance to any organisation or agency considering setting up ‘first contact’ opportunities for young people who wish to embark upon apprenticeship-style training and employment with heritage craft businesses. It explores the challenges to small heritage craft businesses in delivering these types of training and career opportunities, interrogates the pros and cons of accreditation, and advises on best practice in relation to stakeholder engagement – specifically how businesses, education providers and young people can work together to ensure succession and sustainability for the heritage craft business. The education system (from primary through to Higher Education), economic development agencies and cultural identity initiatives all have a role in addressing the complicated issues surrounding apprenticeship-style training in heritage crafts. 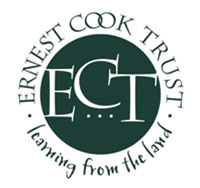 This document collates learning from the Ernest Cook Trust funded pilot pre-apprenticeship project delivered by the Heritage Crafts Association (HCA) in West Somerset, alongside interview and survey data gathered from businesses, young people and education providers. It reviews current delivery of apprenticeship-style training and includes proposals for a Theory of Change model. For most of our history, making things by hand was the norm, and the skills were passed from one generation to the next. In this digital age, when so many spend their days in front of a computer screen, the thrill and sense of satisfaction in taking time to make something yourself is that much more important. Yet there are crafts that form part of our cultural heritage which are in real danger of dying out. The skills and techniques required are known by only a few, in some cases only one, as craftspeople become older and retire from their work, and there is no-one coming into the craft to take their place. Recent research for BIS shows that over 169,000 people work in Heritage Craft businesses, using traditional hand skills to provide products and services in response to growing public demand. The sector is set to grow in the future; the research anticipates a 12% growth in employment in the period leading up to 2022. For the first time, the research also highlights the significant economic impact of Heritage Craft, with the sector as a whole contributing £4.4 billion in gross value added (GVA) to the UK economy. This is striking for a set of skills and jobs which are often considered hobbyist occupations or lifestyle choices. In 2014 we were commissioned by the Headley Trust to write an update to the publication Crafts in the English Countryside: Towards a Future by E. J. T. Collins. Our report can be downloaded here. We have also prepared a summary of the key issues here. The Heritage Crafts Association firmly believes in the importance of these crafts as a fundamental part of our living heritage. For alternative formats please contact info@heritagecrafts.org.uk. In December 2009, the HCA posted a survey for traditional craftspeople. It was publicised specifically to craftspeople who had already shown support for the HCA, as well as more publicly on the HCA website and other websites. The survey had 206 respondents. Click here to view a summary of the report (PDF, 29kb). For a full transcript of the responses, please contact us. Following anecdotal evidence that traditional crafts were not recognised at local government level, instead slipping between heritage (buildings) and the arts, the HCA conducted a survey into the support local councils (at city, district and county level) in England give to heritage/traditional crafts in their areas. The survey was conducted by volunteers and members of the HCA, by telephone, between November 2010 and March 2011. Two main questions were asked: (1) is there anybody within the council with a remit for traditional crafts, and (2) are there any council-led (or other) initiatives to promote and protect traditional crafts? The survey was also used as an opportunity to raise awareness of the HCA and to gain contacts within councils. 354 councils were contacted, of which 241 responded, giving a response rate of 68 per cent. Of those 241 councils, only 42 (17.42 per cent) have an officer whose remit includes traditional crafts – 11.86 per cent of councils overall. Just over half of these officers (52.38 per cent) are involved in the arts in some way, with culture also being prominent. However, 134 councils are involved in some sort of activity to support traditional crafts – 55.60 per cent of responding councils, and 37.85 per cent of councils overall. Quite strong regional differences can be observed in these figures. The survey also produced valuable qualitative data. It became clear that, in many councils, there is a lack of understanding of what is meant by traditional crafts. Work with traditional crafts often happens quite informally and on an ad hoc basis. Councils often associate crafts with arts development services, but many councils are losing this service as arts are not statutory. Furthermore, within the arts context it is common to prioritise the innovative over the traditional. There is also a lack of cohesive strategy between district and county level councils with, in several cases, each thinking the responsibility for traditional crafts falls to the other. This report concludes that local council support in England for traditional crafts is by no means universal and leaves a lot to be desired. While some councils are doing good work and others have schemes which could be expanded to benefit craftspeople, this report concludes that councils could do much more to recognise this valuable part of their local cultural heritage and to support and promote traditional crafts across the full range of their services. There is support for heritage crafts at national government level and John Hayes, the Minister for Skills, has publicly given his support for heritage crafts. This support needs to be extended to local government. This report recommends that the HCA continues to raise awareness of traditional crafts and their needs within local government. The results of this survey should be used to produce guidelines and give advice on how councils can support traditional crafts in their areas. It is also recommended that local councils work together on a county and regional level to develop a strategy for supporting traditional crafts to ensure that they do not slip through the net. Please see heritagecrafts.org.uk/research/ for a listing of published research. We are also developing a research agenda for the safeguarding of heritage crafts, including their use in various settings, and would be very happy to speak to anyone working in these areas. Which crafts are at risk? How urgent is the risk? (The HCA is currently bidding to undertake this as a strategic research project in 2015). What are the best ways to improve the financial sustainability of craft businesses? How do crafts contribute to tourism? How can this contribution be enhanced, for the benefit of makers, tourists and the tourism industry? Who is participating in therapeutic crafts in the UK (quantative research)? A definition of therapeutic crafts could include craft therapy in psychology, craft in occupational health and physiotherapy, craft in Dementia intervention. Activities undertaken as therapeutic crafts shades into recreational craft which has known wellbeing benefits, but are distinguished in that they are delivered as part of a programme with anticipated therapeutic outcomes, rather than undertaken outside a therapeutic setting, by an individual – perhaps with the support of family or friends. What are those engaged in therapeutic crafts doing? Does it work? If it does work, how can it be made more effective? What are the barriers to provision/participation, and how can these be removed? How does making contribute to social sustainability / community cohesion? How can this be valued/measured? How can this be enhanced and encouraged? Do different crafts and/or different kinds of engagement with crafts have different social impacts?